It's here! The first official adventure for The Fantasy Trip in decades! What? Me excited? The description says that The Chaos Triads by Steven Marsh is a 12 page, GM run adventure in PDF format. It goes for $5 at Warehouse 23. 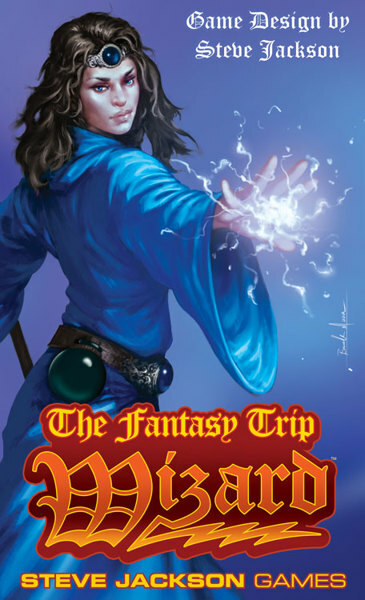 This is supposed to be the first in a series of adventures to support the upcoming release of The Fantasy Trip reboot from Steve Jackson Games. I actually don't know why I'm as excited as I am because there are good adventures already out there. Dark City Games has been making quality solo adventures that are compatible with TFT for years. It's probably just that it's official and that it heralds a resurgence in TFT. Needless to say I will buy it soon. Greg Stafford passed away. This saddens me. I have never met or interacted with the man or played Runequest or any of the other games derived from it. However, he holds a special place in my gaming heart. The first RPG I played with my now 18 year old son was Prince Valiant, written by Stafford. I tracked down a used copy about 12 years ago because I had heard it was a good introductory game for kids. Mr. Stafford, through his game, created special memories for my son and me and for that I thank him. 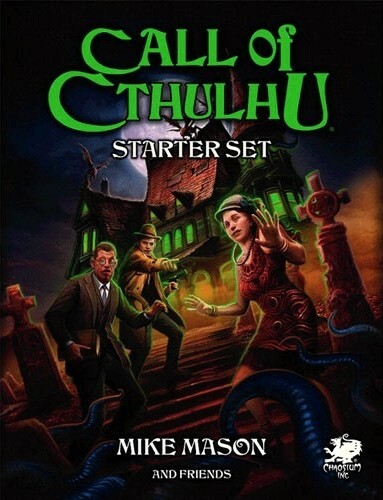 Chaosium is coming out with a Call of Cthulhu Starter Set! Apparently, this news has been out for a couple of months but as usual I missed it. I've always had a passing interest in CoC but have never dived in. I've read the quick starts and such but never went beyond that. Particularly now that the core rules are split into two expensive hardback books. So, this might actually be the product to get me started. It looks like it's going to be a boxed set for around $25. You can find more news here. If you actually scroll down into the comments a representative from Chaosium confirms the contents of the box. Also, it appears to be available for pre-order on Amazon and other sites. Update: 11/29/18 The site I linked above is no longer publicly accessible. You will need to register with the site in order to read the thread or view any of the content on the site. 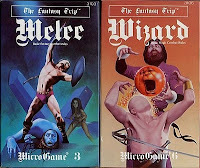 Steve Jackson Games is bringing back The Fantasy Trip. The Kickstarter to finance it just wrapped up. It's goal was $20,000. It hit this goal and surpassed it significantly. It actually reached $311,821.and reached all of its stretch goals. What's really exciting to me is that they've commissioned five writers to create adventures that they are going to release through their store even before the game ships. I'm hoping for a couple of solo adventures. You can read about it here. I'm still very excited. Everywhen, the universal game based on Barbarians of Lemuria has been released in PDF! POD coming at a later time. I'm thrilled about this! You can get it here. New information about the upcoming TFT Kickstarter. News, news, news on The Fantasy Trip front! Steve Jackson is going to be running demonstrations of the new Melee at Origins this coming weekend. There will be a small Melee box and a small Wizard box each for $15. 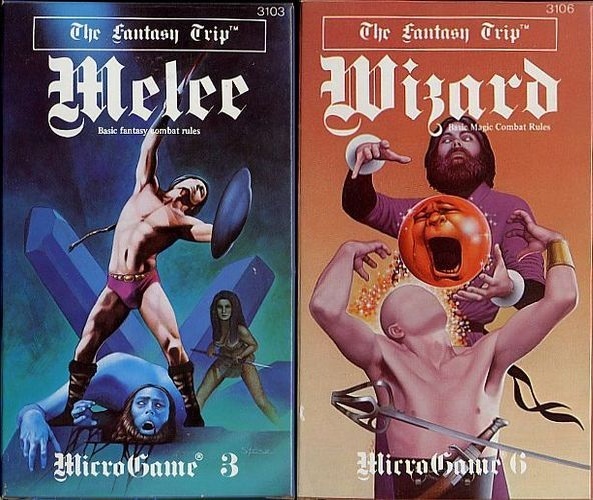 There will be a Kickstarter for a big box recreating the original The Fantasy Trip. It will contain both small boxes. 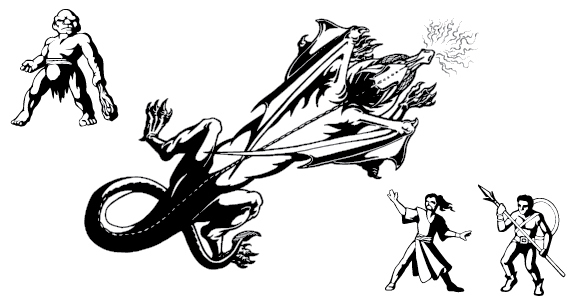 Liz Danforth, one of the original artists, has submitted artwork for the new edition counters. And there's cover art for the new Wizard box. I'm stoked about this. The Fantasy Trip with Melee/Wizard is coming back. As I've mentioned before my roleplaying experiences started with Melee and Wizard. I was thinking about helmets in White Box and other OSR games and how, for the most part, they are treated as window dressing. Then it struck me. 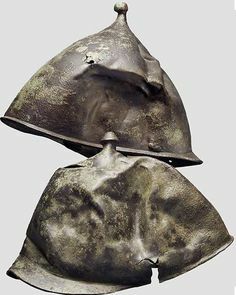 I really like the Shields Shall Be Splintered houserule so why not apply it to helmets! I hadn't run across it before. I thought I had come up with something original but of course I hadn't. My thought was that characters could negate the damage from a single blow by sacrificing their helmet. The helmet would be rendered useless and the character would be dazed for 1d6 turns, being able to only take defensive actions during that time. I was excited until I started doing searches. Of course others had thought of the idea. Oh, well. I like it and I think I will incorporate it. It will make helmets useful and give characters a reason to purchase them is they so choose. I observed a group of friends playing a game of 5e a couple of weeks ago. It was fun and interesting. Their characters are all around 10th level and seemed pretty powerful to me. They were in some kind of temple trying to stop some cultists from completing a ritual which included human sacrifice that they knew would have some sort of dire consequences though they didn't know exactly what. Long story short, they inadvertently helped complete a certain portion of the ritual, they killed a lot of cultists, a giant demon dude was summoned from hell through a portal and they defeated him by using some magic spell to push him back through and then sealed the portal. I understood most of what was going on though some of the exact details went by me. It all seemed fun. My main criticism was that the combat took longer than I expected. I don't know if that was just my perception, the particular encounter or if it is typical for 5e. Has anybody seen this? It's a free game by James Hargrove of Mystic Beard Games. It's a very light, boiled down version of the Basic Role Playing system. I haven't played BRP, Call of Cthulhu or any of their relatives but I have read the quick-starts. People talk about how easy and intuitive the system is but it was never completely clear to me. For example, I never quite understood the Resistance Table in BRP. Call of Cthulhu was a little better but my poor brain just didn't quite grasp it. I know it is my shortcoming not the systems. Now we come to Open Basic. This is completely clear to me. I'm actually a little bit excited about it and want to give it a try. And better yet it's got a High Fantasy Plugin for only 50 cents that I'm going to take a look at. Blades & Black Magic is Back! Several years ago C.R. 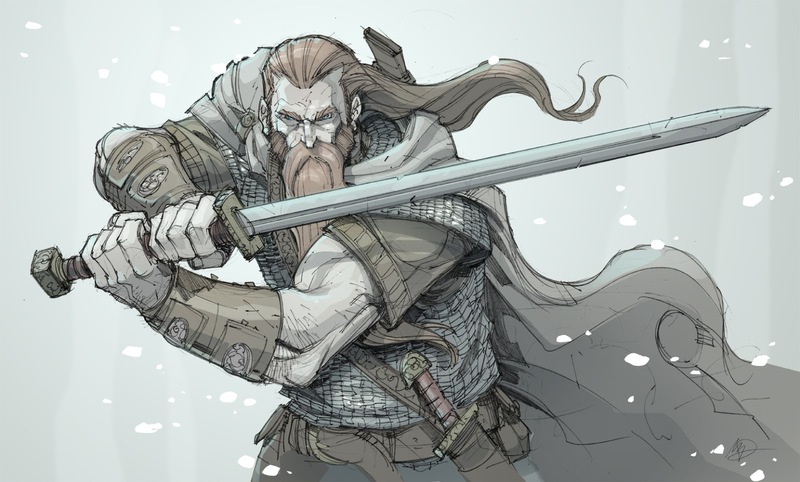 Brandon, author of Heroes & Other Worlds, was working on a grittier sword & sorcery version of HOW called Blades & Black Magic. B&BM is based on HOW which in turn was inspired by The Fantasy Trip of 80s fame. Thus, with the sword & sorcery focus and its pedigree, I was very much looking forward too it. In fact I even listed it as the game I was most looking forward to in 2015. Mr. Brandon had to put the development of B&BM on hiatus for a while but now its back. He's working on it again, testing various aspects and tinkering with various mechanics. And I 'm excited again! You can see the latest developments at Mr. Brandon's Heroes & Other Worlds Blog.